Born in Koblach in Austria in 1939, Dom Kräutler as a missionary of the Ordine del Preziosissimo Sangue, after the priestly ordinance in 1965 he chose to go as missionary to Brazil, where he was bishop of the Xingu Prelature in the State of Parà, since 1981 to 2015. After the resignation accepted by the Pope, he continues to be president of the Cimi (Conselho Indigenista Missionário, Indigenist Missionary Council) on behalf of the Brazilian Bishops' Conference, being always in the forefront of the defense of the Indians and more generally of the landless peasants, with the support of the other bishops. For his courageous commitment to the salvation of indigenous peoples and the natural environment, in 2010 he received in Sweden the alternative Nobel Prize, established in 1981. He has always taken a clear position, indeed, in the claim of social justice for the benefit of the Indians, the workers of the earth and the Amazon forest. For this he was repeatedly threatened with death and, since 2006, he is forced to live under guard. Pope Francis wanted him as a collaborator in the preparation of the ecological encyclical Laudato sì, in which the topic of the Amazon is showed as a planetary problem. As a result, who saves the Amazon rainforest, avoiding ethnocide and ecocide, saves the whole world. 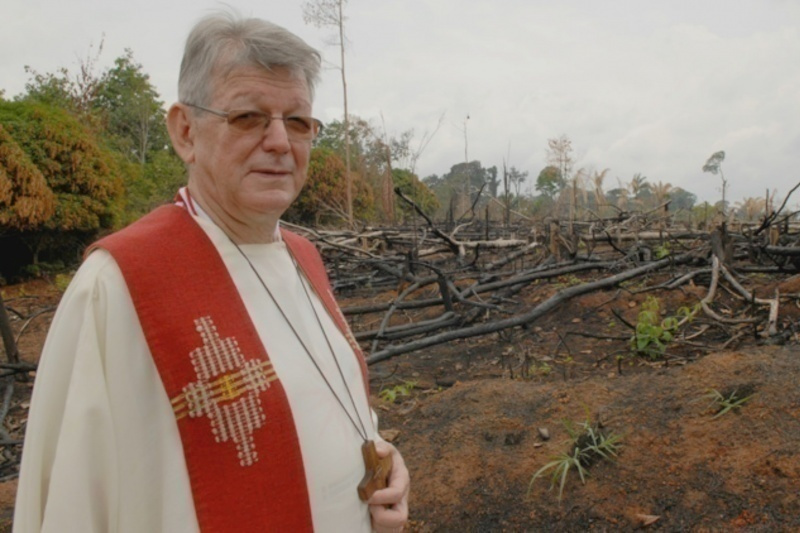 This extraordinary figure of missionary bishop, militant ecologist of justice, is not only concerned with the care of souls, but also with the material and cultural life of the inhabitants of the forest, of the people increasingly exposed to the risk of extinction due to the violence exercised by the local and international economic power, in order to freely exploit the rich natural resources. An authentic Righteous of our time, who has also acted directly for the inclusion of the rights of the natives in the Brazilian Constitution of 1988, as a civil commitment aimed at fighting the predators of the Amazon and safeguarding the populations that have been living in the most important forest of the planet for millennia, the heart of world biodiversity. He is a Brazilian citizen since 1982.